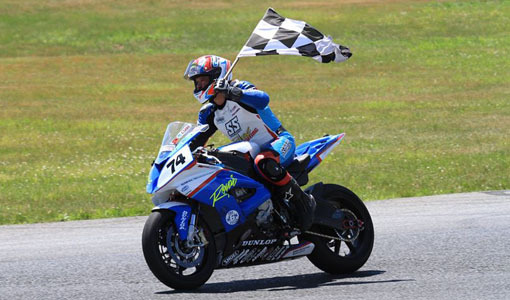 Michael Leon » » NEWS: A Great Weekend! 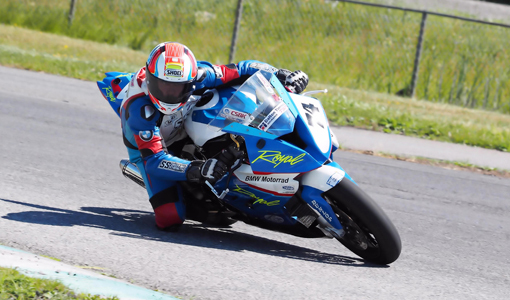 The focus for the weekend was to test the S1000RR setup in preparation for the ucoming Mopar CSBK round one. 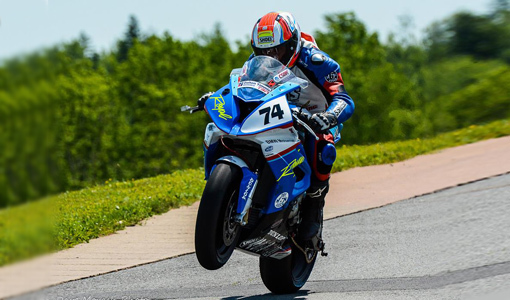 Over the years of racing BMWs at Shannonville, the team has tried many different combinations of shock valving, suspension linkages, fork offsets and swingarm pivot locations. 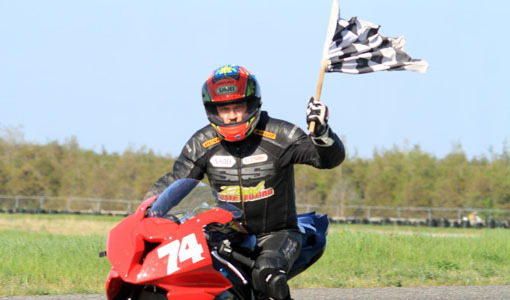 The idea was to determine the best combination for not only an outright fast lap, but also to make the bike less demanding to ride 20+ race laps while preserving the tire. 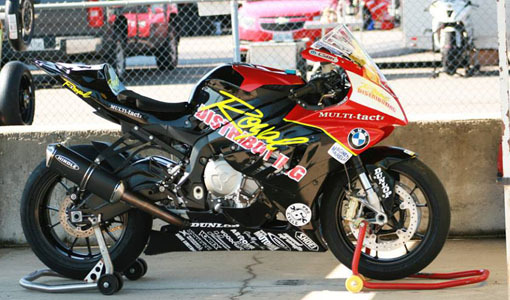 Saturday evening, team mechanic Joe Gervais and Michael converted the BMW Superbike to a previous chassis setup, one very similar to what was used by the team at the RACE Rd 3 in 2017, in order to do a back to back test. 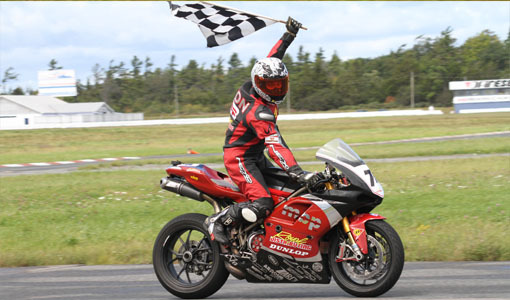 Unfortunately, Trepanier was not able to race on Sunday due to a work commitment. 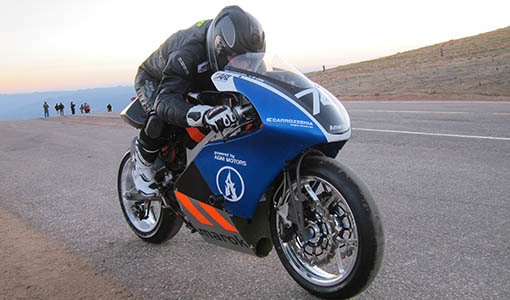 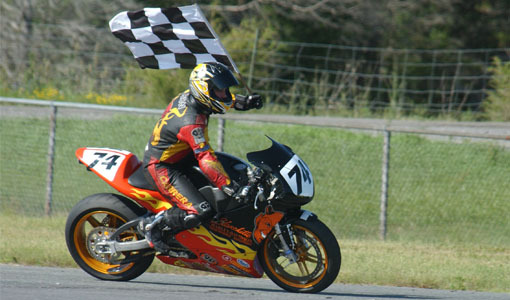 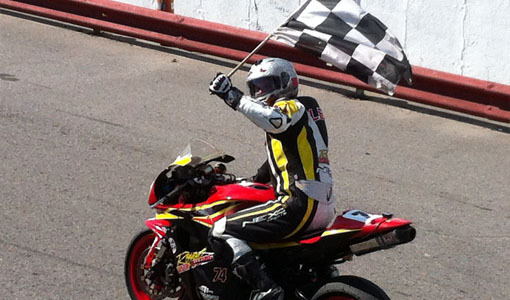 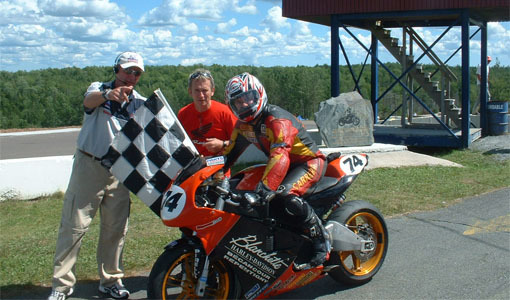 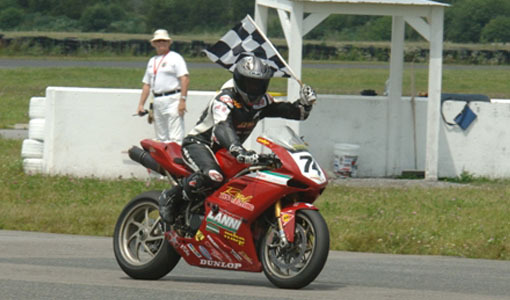 In the opening laps of both the SBK and Sprint races, Michael battled with Yamaha R1 mounted Eli Daccache. 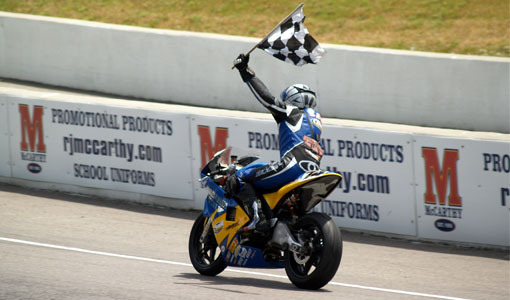 By the halfway mark in both races, Leon was able to take the lead and make a break for the win. 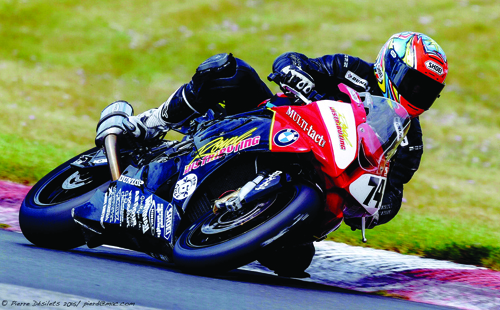 “On the out lap Sunday morning, I could tell right away that the rear grip on corner exits worked better with that setup. 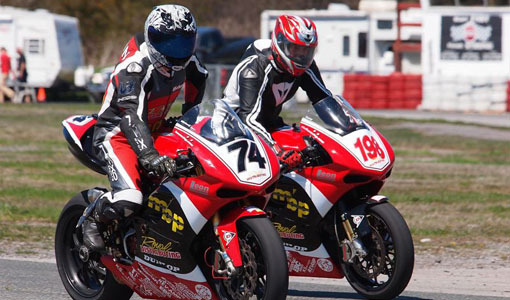 We were able to match our best time from Saturday, set on new soft compound Dunlops while riding on an extremely used front and medium rear. 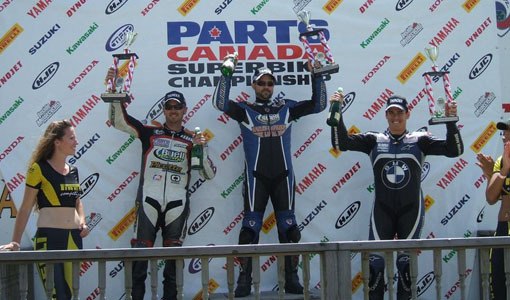 I was happy about that, but we are going to have to go a lot faster at CSBK Rd 1 in 2 weeks. 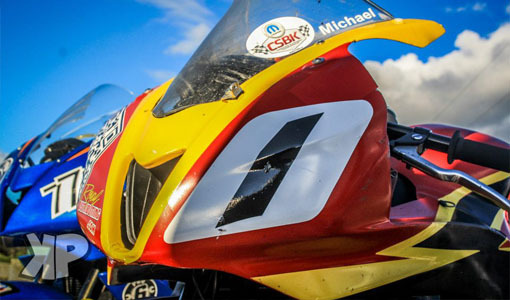 I can’t wait!” commented Michael. 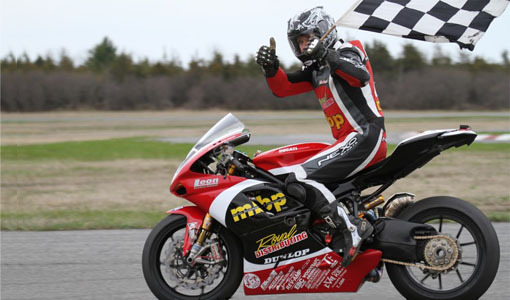 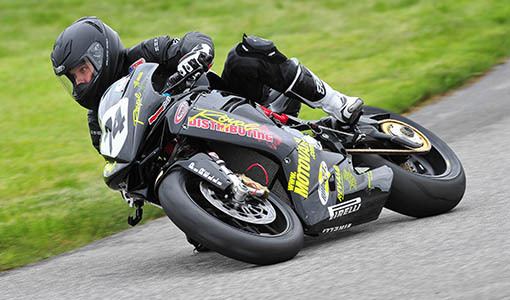 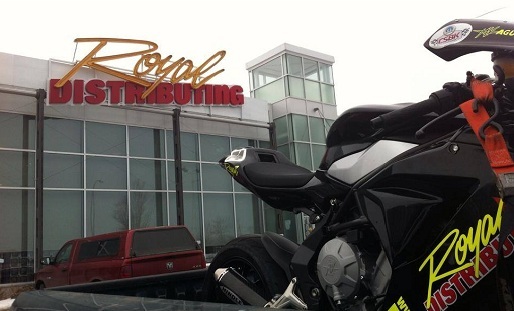 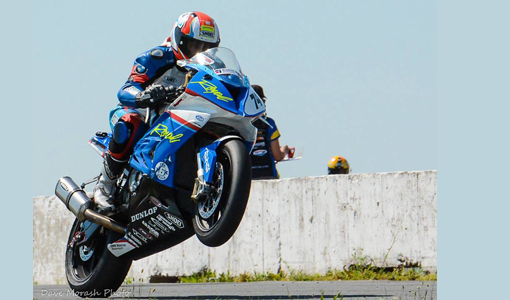 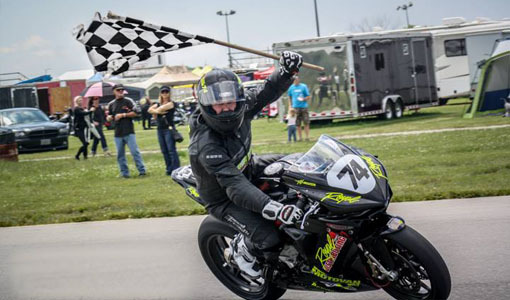 The Royal Distributing Superbike Team hopes to see you at Shannonville for the Mopar Canadian Superbike Championship season opener May 25-27th.